Home Lifestyle How Will The Vaping World Change After The New Vape Laws? Vaping is seen as a midway alternative for smokers who are looking to give up smoking tobacco and has already proved successful with transitioning, however the recent changes in vaping laws have been received with mixed reactions. The Tobacco Products Directive came into force on May 20th 2017 outlining that tobacco related products need to be sold in non branded packaging but also brought in new vape laws for the e-cig world. E-cigarette tanks and bottles of e-juice have now been restricted in size, alongside levels of nicotine content being reduced leading to worries that vapers will mix their own e-juice to their own liking. Tanks now are set at a maximum size of 2ml, much smaller than most tanks used by experienced vapers, with nicotine levels curtailed at 20mg/ml. Bottles of e-juice can now only be purchased in 10ml bottles as opposed to 30ml, meaning you will need to purchase more bottles juice to ensure you have a constant stream. I was lucky enough to stock up on 30ml bottles before the laws came into force and will be happily puffing away on Strawberry flavoured juice for a while yet. The restrictions in nicotine levels may be a concern from some smokers who will feel that they require a higher strength to cope with the start of the transition period. However that is not the case and it is simply down to learning how to use an e-cigarette to ease your cravings. This is the perfect time for new revolutionary e-related products to spring onto the market and I am excited for the launch of the AYR. Later this year the world’s first stylish vapouriser that refills and recharges itself hits the market, offering something new for experienced vapers and those who are looking into making the move. 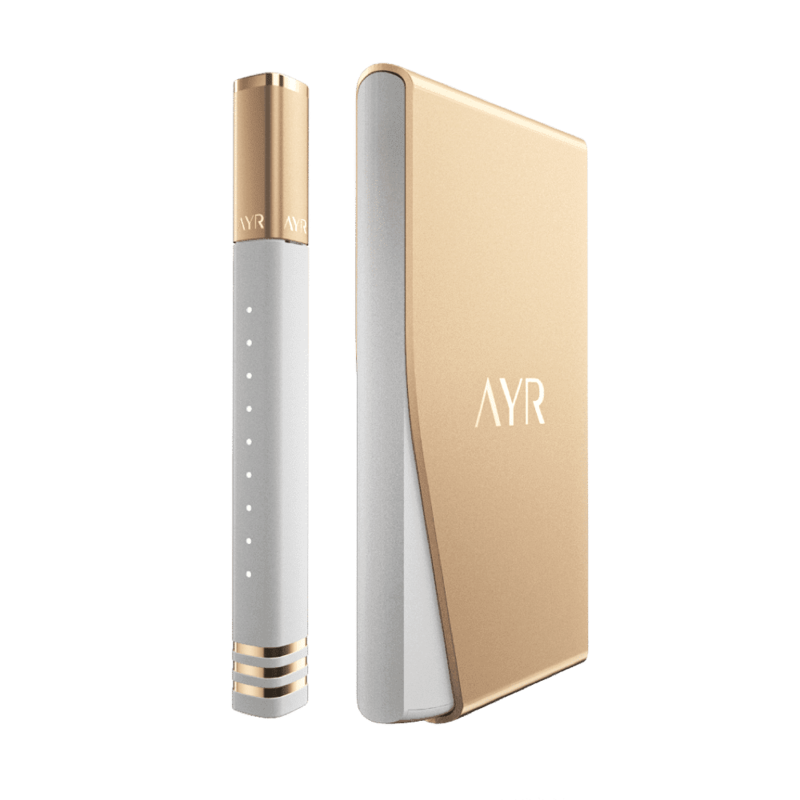 The AYR is sleek, stylish and offers much more as a vaping system than you have seen before. There is so much about the AYR, aside from the funky design (there will even be an app to help track usage!) and current flavours – a full list can be found on the site – range from Apple Crunch, Vanilla Sky and Wild Blueberry to name a few. For anyone considering vaping, this is a fantastic all in one kit that takes out any confusion – the design of the actual e-cigarette is very cigarette like to still give you the sense of smoking, even down to the way you hold it. Due to be launched later on this year, the people behind the AYR have designed something totally unique to the market and it will be interesting to see it in action. You can check out further details and also sign up to the newsletter at the AYR website..